PODs are medically certified braces which is something almost completely unique to the brand. 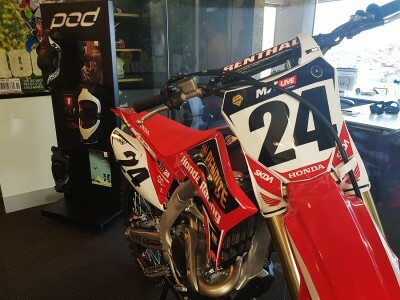 Aussie company POD has some pretty heavy duty athletes running the braces at the moment across a range of sports and it’s hard to ignore endorsements from people like Blake Baggett (who we’re told just puts his boots on over bare feet when he rides! 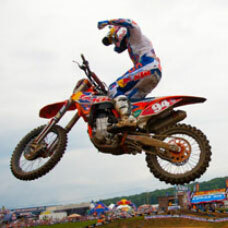 ), Jonny Walker, Dean Ferris, Taddy Blazusiak, Brett Metcalfe, Thad Duvall, Billy Bolt and surfing champion Tyler Wright. When products get to that point you often find these sorts of folks are running kit that isn’t quite the same as what you and me get hold of. Whether it be altered to suit more specific needs or pre-production equipment it’s just not that unusual to see athletes wearing gear that’s not available to you and me yet if ever, but with POD you buy what they wear. POD is an off-the-shelf brace which is to say it’s not custom fitted but instead designed in different sizing’s and with materials that form fit and allow for variation. By that I mean, say you got fitted for a brace but you put on muscle at your calf. That custom fit may no longer be relevant on a brace that doesn’t give beyond its initial fitting. The K8 Forged Carbon braces are designed in four separate frame size options which helps you find the best initial fit but with more options to get that spot-on through pads and the clever strap system which is then mounted to a part of the brace called the Adaptive Cuff with independent motion. 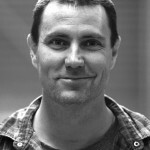 The design of the PODs comes from endless amounts of testing on the field with riders like Daniel “Chucky” Sanders beating them up and then reporting back with any possible improvements. But also from some clever and often out-of-the-box thinking that’s then fleshed out through rudimentary shaping, then a CAD work-up and the POD offices even have two large 3-D printers that can produce a prototype part that can then be fitted and tested in less time than a large company would take to call a meeting about calling a meeting about having an idea. It’s this method that brought about the improvements in the new K8s, particularly obvious in the clever patella guard which offers less restriction and more comfort. This approach has also brought the attention of much larger companies, looking to POD for solutions that could take years to come to fruition under the corporate structure, and it’s also attracted the armed forces who are looking at value of the braces in the field. For the new K8s the improvements include increased impact protection, less obtrusive hinges with improved ligament strength, all new patella guard and new strap clips for the upper and lower straps. 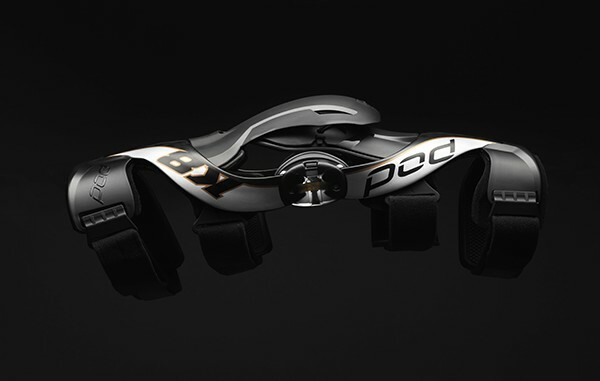 The clever single hinge device that connects the high and low sections of the brace is now 17 percent thinner for better feel against the bike and the ligament that is responsible for governing the hinges movement now lasts five times longer. To give you an idea on how strong the ligament is, POD had a fuelled KTM 1090 Adventure R hanging on a hoist in the office, suspended by a single brace ligament which itself has been tested to 100,000 cycles to ensure that the braces stay strong for the longest possible time. The K8 Forged Carbons also feature new EVA foam for increased durability, impact absorption and are totally water proof to handle multi-sport use which brings us to a final point. The POD K8s aren’t just for moto; you can remove the patella guard and wear them skiing, surfing, playing cricket, walking the dog. They are a medically certified brace and as such they are suited to a massive range of activity and because they’re a modular design, all the parts are replaceable. Day two of the launch was all about practical demonstration as we headed into the trail perfection that is the Otway Ranges in Victoria, with Con Thermos as our more than capable guide. 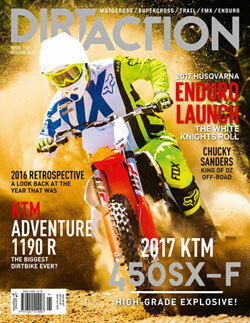 A full rundown of our ride will accompany this feature in DIRT ACTION issue 225. All-told we all went away impressed by not just the braces but the way the company goes about its business. It’s small but its smart and it can move fast to innovate and improve. 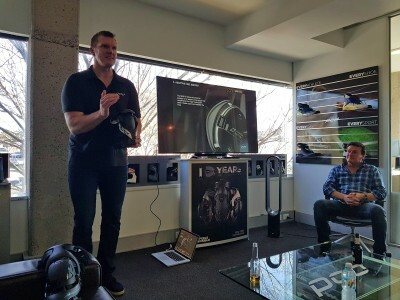 In its 11th year quality of the product speaks for itself and the demand worldwide for not only the tech but the minds that work for POD is impressive. The POD guys are all from riding and high level sporting backgrounds so they aren’t removed from what we all do and it shows in the braces. This is an Australian company worth getting behind and in doing so you’ll be doing the right thing for your own riding for a long time to come. 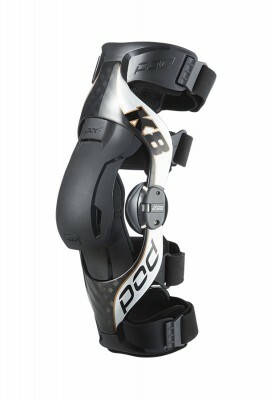 The POD K8 Forged Carbon sells for an RRP of $569.96 per brace and is covered by a five year warranty.